We’re pleased to report that two of MPW Birmingham students were honoured with Prizes at the 2016 CIFE Awards ceremony this March. 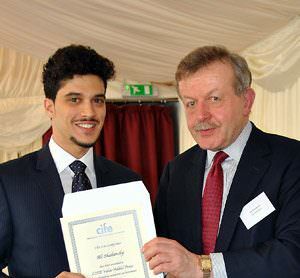 Ali Shakarchy received a CIFE Value Added award. Ali joined MPW Birmingham in September 2013 for a two year A level programme in Biology, Business Studies and Chemistry and AS Mathematics, having previously achieved AS level grades UEUD. At MPW, Ali grew in confidence and determination and exhibited an excellent work ethic. He achieved three A grades at A level, and a B in AS Mathematics. He is now reading Information Technology Management for Business at the University of Manchester. Ali is a worthy winner of the value added award and the distance travelled regarding his academic progress is significant. He has been willing to share his experiences with other students, offering valuable guidance on how best to navigate the demands of A level study. 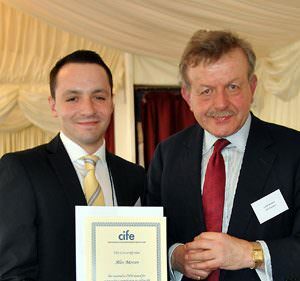 Alex Moran received a CIFE College Award for his outstanding contribution to life at MPW Birmingham. Alex joined us in September 2013 having already achieved AS grades CCBE in English, French, PE and Biology. At MPW he studied a two year A level programme in Economics, Law and English Literature. Alex received the Principal’s award at MPW Birmingham due to him being an exemplary role model for other students. His contributions as a student ambassador helped inspire prospective students to join the college. Alex also established a college running club and as an accomplished athlete displayed much patience and humility in supporting less gifted runners. He achieved three A grades in his A levels and is now reading Law at the University of Birmingham.